North Carolina took the first step to change their education system and make it better for the children. 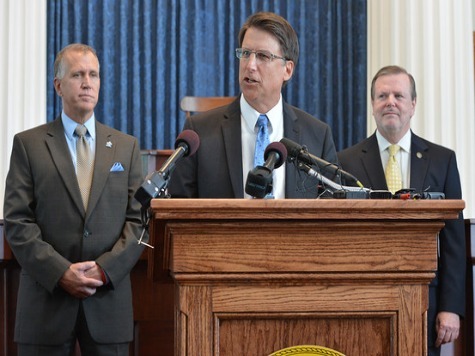 Governor Pat McCrory (R) signed a bill that eliminates teacher tenure and eliminates automatic pay increases for any teacher who earns a master’s degree. Many states do allow an automatic increases when a teacher receives a higher degree, but it does not always mean better teaching. Teachers in elementary and high schools will not receive tenure and salaries will be frozen for the fifth time in six years. North Carolina is the first state to pass this type of bill. The Wall Street Journal said other states have talked about using student performances as a way to evaluate teachers. McCrory said 56% of the budget will go to K-12, which is 1% above the previous budget. A 2012 study by a researcher from the University of Washington’s College of Education found that the nation spent about $14.8 billion on the master’s bump for teachers in the 2007-2008 school year. The Republican lawmakers developed the $20.6 billion budget. It is the first time in 144 years both the legislature and the governor’s office are controlled by the GOP.